Daimler AG announced its board has approved a restructuring, first discussed in 2017, that would create three independent units under Daimler’s umbrella as a holding company after the most thorough due diligence in the company’s 130-year history. The final step involves shareholders approving the reorganization, known as Project Future, at the company’s next annual meeting, scheduled for May 2019. The restructuring, once approved, is set to be completed by Jan. 1, 2020. “The new structure positions Daimler to tackle the rapid pace of change in the mobility sector and the corresponding strategic challenges. Legally independent divisions will sharpen our focus on the future success of the business,” Daimler Chairman Manfred Bischoff said in a statement. The new divisions will be more entrepreneurial, positioned closer to their markets and customers, and empowered to enter partnerships more easily and quickly, according to the Stuttgart, Germany-based company. In the realignment of the world’s largest vehicle manufacturer, Mercedes-Benz AG will include the Mercedes-Benz cars and vans divisions, and have 175,000 employees. The car segment is the company’s largest business. 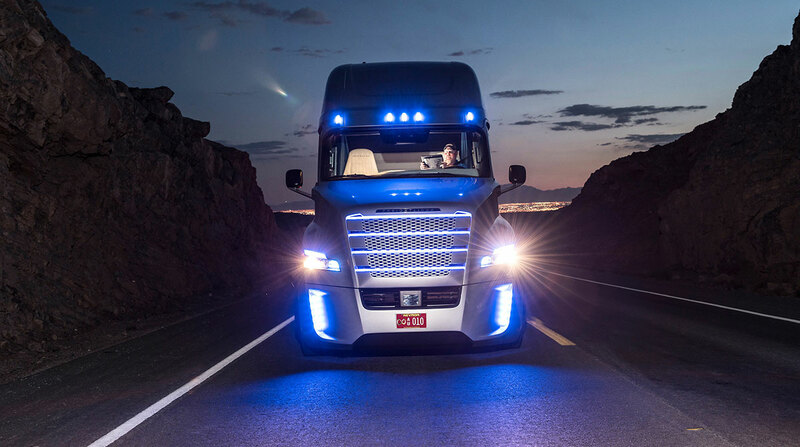 Daimler Truck AG will include its trucks and buses operations, and have 100,000 employees. The truck unit is the largest commercial vehicle manufacturer in the world. Daimler Mobility AG will include the financial services unit, which already was independent, and have 13,000 employees. Three trucking industry analysts agreed with the need for speed. Large companies struggle to move quickly because they have a great deal of inertia tied to supporting existing product lines and manufacturing systems, Rick Mihelic, president of Mihelic Vehicle Consulting, told Transport Topics. “New market opportunities tend to start out with very small sales volumes and unknown market potential. These can suffer when competing for attention next to established products with known volumes and cash flows” at the large companies, he said. At the same time, smaller companies, and especially new entrants and start-ups, are not encumbered by the need to support the existing business models while chasing new ones, Mihelic said. “These companies need cash flow from new products and are inspired to move much more quickly on new technologies. Earlier, he said that while autonomy probably is going to be pretty similar across the car and commercial vehicle platforms, electrification may not be. Meanwhile, the new structure will involve reassigning more than 700 subsidiaries in over 60 countries. Daimler will exercise corporate governance, strategy and management functions, and provide cross-divisional business services and ensure that synergies between the entities remain as before. Responsibility for the funding of the entire group will continue to rest with Daimler, which will be the only company in the corporate group to be listed on the stock exchange. As part of the planned overhaul, Daimler extended a labor pact that rules out forced layoffs until 2030 and will allocate 35 billion euros ($41.2 billion) in investments on electric cars and other new technologies over the next seven years, the group’s workers council told Bloomberg News in 2017. The manufacturer also is contributing 3 billion euros to its pension plans. The overhaul, first proposed in July 2017, would be Daimler’s biggest corporate revamp since it ended its ambitions of becoming a global car giant with the sale of Chrysler a decade ago, according to Bloomberg.